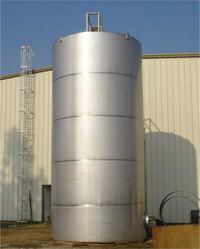 We have acquired proficiency in manufacturing Industrial Tank in a wide range of specifications and models. Industrial storage tanks made available by us is widely utilised in the chemical, pharmaceutical and food process industries, among others. Our years of experience in this domain makes us capable of accommodating special customer requirements, and deliver tanks as per clients' specifications. 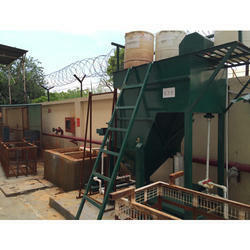 We are counted amongst the foremost manufacturers and suppliers of ETP (Environment Treatment Plant) Tanks. These ETP tanks are manufactured using finest quality material and advanced technology and are offered in varied technical specifications to accommodate variegated needs of clients. ETP is a facility which is required to treat effluent or polluted fluid coming from various stages of pre treatment plant and re utilize the treated water. Owing to efficient operation and sturdy construction. We are a leading and well-recognized name in the field of offering Chemical Tanks that are corrosion resistant, leak proof as well as easy to maintain. These industrial chemical tanks can also be customized as per customer given specifications and find usage in storing various corrosive chemicals. These can also withstand high temperatures and are available in various thicknesses and configurations including circular and rectangular options.